What we have now is a PAP-infested Select Committee which has picked, to be NMPs, a YPAP member, a NTUC member and 5 people who idolise MM Lee! Good grief! The above statement is taken from the press release by the clerk of Parliament, dated 8 June 2009. The news that one of the newly-appointed Nominated Members of Parliament (NMP) was a Young PAP member has thrown up several issues of concern. Mr Calvin Cheng, 34, an entrepreneur in the fashion/modeling industry, had joined the People’s Action Party’s youth wing (YPAP) in 2006. According to the press release by the clerk of Parliament, on 6 April, the Special Select Committee on Nominations for Appointment as Nominated Members of Parliament (NMPs) invited the general public and functional groups to submit names of persons for its consideration for appointment as NMPs. The closing date for the submission of names was 11 May 2009. 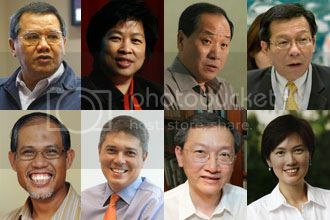 When nomination for the new slate of NMPs closed on 11 May 2009, Mr Cheng was among the 46 names submitted – and he was still a YPAP member. The Committee shortlisted nine names from the list, which was then submitted to the president on July 7 for approval. The president promptly gave his approval on the same day. Mr Cheng has now revealed that he tendered his resignation from the YPAP the next day, 8 July, Wednesday. That is, after his nomination had been approved by the president. I think Mr Cheng has missed the point. Application for NMPs was opened on 6 April. The Select Committee’s final list was decided on 7 July. That is a period of three months in between. Mr Cheng, during these three months or so, could have and should have settled the “technical issue” about the exact status of his YPAP membership. As he himself put it, the “technical issue” was whether he was “a member of the General Branch or of the Teck Ghee Branch.” Surely, this is not a question which should or would take months to clarify? 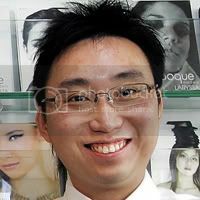 As for the offices being closed, well, Mr Cheng had had three months or so to resign his YPAP membership. Why wait till such a late hour to do so? Did not his YPAP membership raise a red flag for the Select Committee, which incidentally, except for Mr Low Thia Khiang, is made up of PAP MPs? Apparently, the committee did not even ask him about it. One wonders if a Workers Party member, say, would be given approval if he applied to be a NMP. Also, did the president, who promptly approved Mr Cheng’s nomination, raise the question of Mr Cheng being a YPAP member? There are now questions being asked about Mr Cheng’s “non-partisanship” as an NMP – and he is not the only new NMP being asked these questions. Mr Terry Lee is the new “Labour NMP”. His nomination was supported by the NTUC, and no NTUC-backed candidate has failed to be appointed so far. 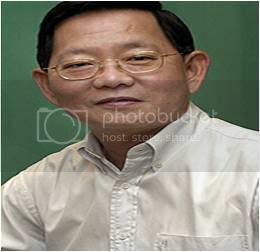 He has held many appointments (see here) and is currently a member of the Central Committee of the NTUC. The first question one would ask about Mr Lee’s appointment is whether we need another representative from the NTUC to be an NMP, given that many current MPs and ministers already are from the NTUC. These include Minister Lim Swee Say, Minister of State Heng Chee How, Mdm Halimah Yacob, Mr Seng Han Thong, Mr Yeo Guat Kwang and Mrs Josephine Teo – all except for Mr Yeo belong to the NTUC Central Executive Committee. Are these ministers and MPs so incapable of providing alternative views that we need another NTUC member to do so? And how different would his views be from those of his NTUC boss, Mr Lim Swee Say or how “non-partisan” his views would be from the government’s, given that the NTUC has always boasted of its “symbiotic” relationship with the government? Now, if you were looking for people who would provide “independent, non-partisan” views in Parliament, would you select – not one or two or three but five – NMPs who hero-worship the person who’s regarded as the most influential and powerful man in the cabinet? So, what we have now is a PAP-infested Select Committee which has picked, to be NMPs, a YPAP member, a NTUC member and 5 people who idolize MM Lee! That sure gives the term “non-partisan” a whole new meaning. Seriously, is this what you’d want for a scheme which is meant to provide “independent, non-partisan” views? For the NMP scheme to have any credibility at all, we should start with looking at the composition of the Select Committee and make it one which itself is non-partisan, or multi-partisan. (One opposition MP on the panel hardly makes it so.) We also need to be clear about political party members applying to be NMPs. What is the select committee’s stand? What is the president’s reasons for accepting and approving the names submitted? There needs to be absolute transparency and accountability in the reasons why certain people are approved while others are not. To this day, Singaporeans have no idea what the deliberations of the Select Committee were. In its report, the Committee did not elaborate on the reasons why the nine were chosen. Or why the applications of two former NMPs, Mr Siew Kum Hong and Mr Gautam Banerjee, were not approved. The committe, however, did reveal that all MPs in parliament were consulted for their views on the NMP candidates. This is hardly any comfort, given that 82 out of the 84 elected MPs belong to the PAP. At the moment, the NMP scheme looks far removed from its aims of providing “independent, non-partisan” views in parliament. How can it, when the ruling PAP has a say in and is present in all aspects of the selection process? Perhaps it should aim for transparency first, especially when the Prime Minister has decided that the NMP scheme will be a permanent feature in the political landscape.